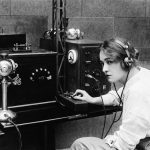 — N7LGN will be offering a Morse code class for those wishing to learn the fine art of operating CW. The class will be only two days, two hours each session. If you have no experience with the code, that won’t be enough for you to develop a mastery of CW communications. It will however give you all the tools necessary for you to become a fluent CW operator. Developing your speed will take some “sweat equity” on your part. The class is free and the first session is April 12, 2019 at the American Legion Post 113 located at 22 W. Broadway Ave, Meridian, ID. The second session will be on April 23, 2019 at the same location. Both sessions will begin at 7:00 PM. We’ll be learning the International or Continental code as opposed to the mother tongue Morse, or American Morse code. You see…you already discovered there are at least two Morse codes (depending on how you count, there is at least one more)! If you want to know “What hath God wrought?” you’ll need to come to the class. 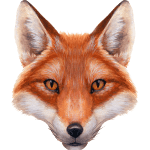 — On April 20, 2019 N7LGN hosted its first fox hunt of the season. Four two-man teams participated. 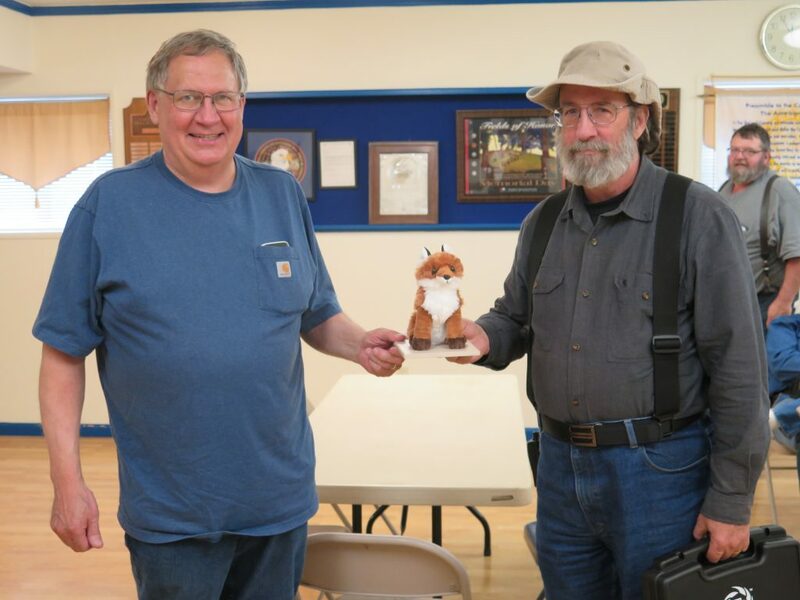 Thom WA7JUL hosted, along with Bill N7OCV and Mike WB7RWS playing fox. 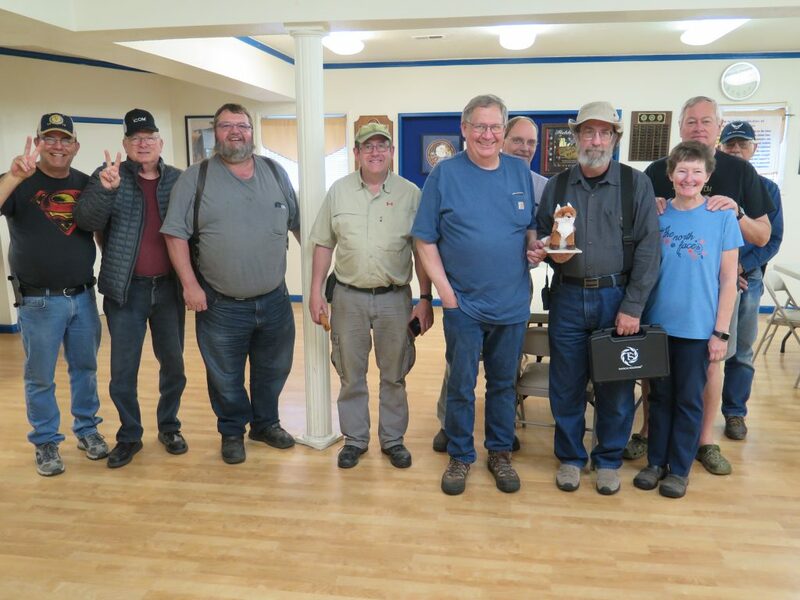 The group met at the Veterans Memorial Building in Meridian for doughnuts and coffee before the hunt, and pizza afterward. It was unanimous that all had a good time and it was lots of fun. Bill N7OCV did a great job of hiding and used just about every trick in the book to fool the hunters. The winners of the Fox Trophy were the team of Steve N7BJX and Mike W7OSG. Second was the team of Rich W7BOI and Matt W7LGN, Third was Eric N1SRC and his co-pilot Bill. Fourth was Joel KC0DNE and Judy N0DNE. Our next general membership meeting will be at the Veterans Memorial Building, 22 W. Broadway, Meridian, ID on April 24, 2019 at 1900. All members and prospective members are cordially invited to attend. — There will be a Field Day beginning at noon on June 22, running 24 hours to June 23. N7LGN is coordinating with Meridian City Hall for a setup location. A club special organizational meeting will be announced. — We will be hosting a General License class at the Veterans Memorial Building starting in May. This will be a three hour class, once a week for six weeks beginning in May. Testing will be in July when the new tests are released. Contact Rich Dees W7BOI at rjdees@aol.com for more information. — N7LGN will host testing sessions for all license classes the 2nd Thursday of each month. Testing will be held at the Veterans Memorial Building, 22 W. Broadway, Meridian at 1830. Roving testing can also be accommodated. Contact Rich W7BOI, rjdees@aol.com for further details. — CERT training will be held for all interested operators at the Veterans Memorial building on June 25 and 27 from 1800-2100 and on June 29 from 0800-1700. Contact Rich Dees W7BOI at rjdees@aol.com for more information. — Our net is held every Thursday evening at 1900 (except holidays). The frequency is 146.940 for receive and 146.340 for transmit. PL is 100 Hz. All are welcome to check in. 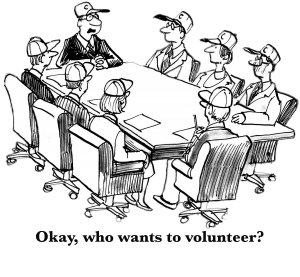 Volunteers are needed for Net Controller. It is fun and easy. Rich W7BOI will provide the script and training. Please consider stepping up so he can have a rest once in a while. THE NORTHWEST’S LARGEST HAM CONVENTION!